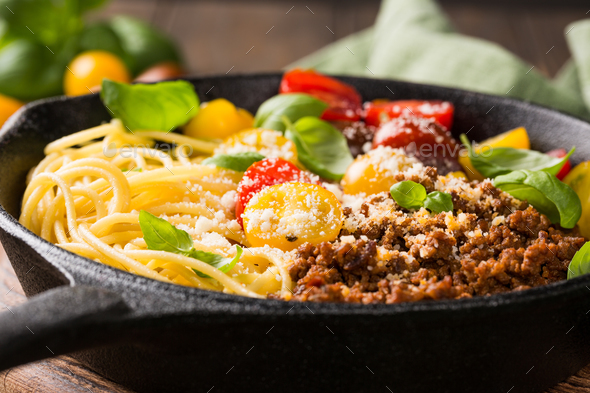 Delicious spaghetti Bolognaise or Bolognese with savory minced beef and cherry tomatoes garnished with parmesan cheese and basil in cost iron pan. Healthy italian food. Close up.